Microsoft hasn't always had the best relationship with their PC gaming audience - with services like Games for Windows Live doing more harm than good in the past, and numerous other drawbacks of yesteryear, it's quite reasonable for PC gamers to be skeptical of the company's latest claims of parity between the PC and Xbox versions of their upcoming games. Microsoft had a massive presence at this year's E3 PC Gaming Show, where they showed off titles like Age of Empires: Definitive Edition, Sea of Thieves, and more. Right after the show, Tom's Guide sat down with Kevin Unangst, senior director for PC gaming at Xbox, to talk about Xbox's goals for making the gaming experience more consistent across both the Xbox and PC platforms. 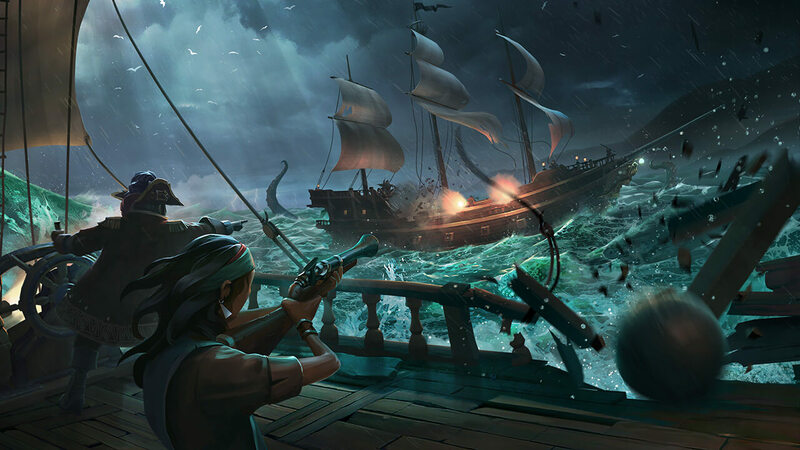 The company says two of its upcoming titles, Sea of Thieves and Forza, are not simply being developed as ports for Windows 10, rather both the Xbox and PC versions are being developed in parallel, with the end goal being identical functionality and performance across the board. Whether Microsoft can pull this off or not remains to be seen. There are a number of challenges to overcome when attempting to develop identical products for both platforms - not the least of which is the near-endless amount of variation between PC hardware configurations. 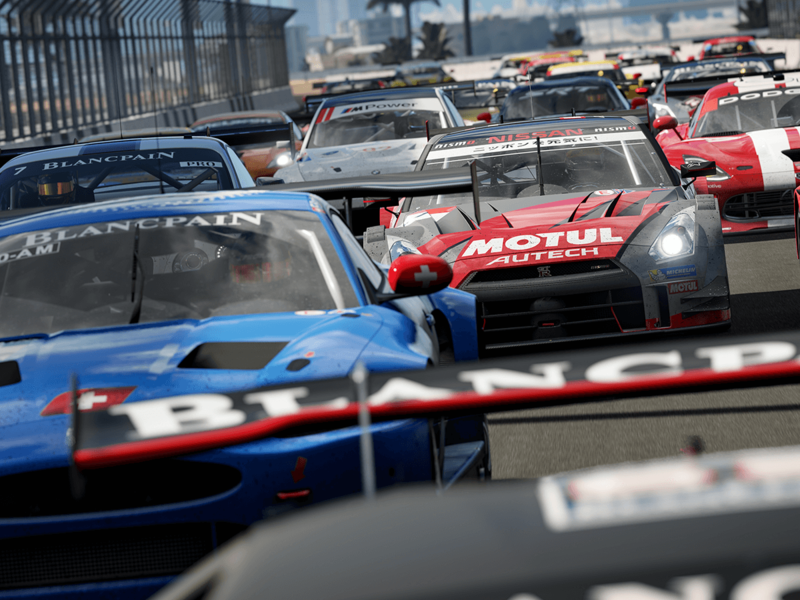 Aside from simply lowering the minimum system requirements as the Forza team plans to, to solve this problem (and presumably to establish a benchmark upon which they can develop future titles) Kevin mentioned that the company is taking a look at some of the common trends among the PC gaming audience's machines. "We look at things like DOTA and League of Legends, and there's a fairly mainstream PC that the vast majority of audiences play on," Kevin stated. "It's [an Intel Core i5] machine. We're seeing movement toward discrete GPUs, but [gamers] even play on integrated graphics cards." He also briefly mentioned that their goal is to keep their games scalable, so that high-end gaming rigs can take full advantage of their hardware. "You want to throw in dual GPUs, we'll take advantage of it," Kevin commented. Again, while Microsoft under Satya Nadella has established a bit of goodwill with the PC gaming community recently - thanks to the release of the Xbox Play Anywhere initiative - their track record supporting PC gaming isn't squeaky clean. The only way to know whether Microsoft will be able to keep their promises this time around is to wait for games like Sea of Thieves to release and see for ourselves. Now this is lip service at it's finest if I've ever heard it, and I have, numerous times before. I don't believe it for a second, I would love to be wrong but this is M$ we're dealing with here so there's very little chance of that. Reehahs and alabama man like this. "Again, while Microsoft under Satya Nadella has established a bit of goodwill with the PC gaming community recently - thanks to the release of the Xbox Play Anywhere initiative - their track record supporting PC gaming isn't squeaky clean." Cant help but think that had much more to do with Phil Spencer than Satya. the dude got handed an almost-broken ecosystem and is trying to rebuild it. Translated from Corporate Double-Speak: We're targeting 1080p, 30-60FPS with modest textures, draw distance, and AA to keep PC in line with Xbox. You will be able to get the full Xbox One experience even if you game on PC. FPSChris, H3llion and Reehahs like this. "Microsoft promises equal performance for PC & Xbox games"
Sounds to me like they are going to make PC games run worse so that consoles can keep up. FPSChris, JaredTheDragon, Nobina and 2 others like this. Yup. Say hello to lack of graphics options and 30FPS caps. FPSChris, JaredTheDragon, H3llion and 1 other person like this. We've heard the promises before .... now how about some actually performance??? If that's the case then as per usual it's the game optimisation and the ports that will support "equal performance" via a piss poor job. I'm no m$ hater but I'm calling bs. After the s**t storm that was forza horizon and the fact every game in their store is run as an app in window mode(no exclusive use of your gpu) they would have to scrap the whole thing and start again and I cant see that happening. What was wrong with Horizon (I'm assuming you're talking about Horizon 3)? You must not have played it on pc. I have a 4790k oc to 4.7, two 980' which I oc and the game is on my ssd. So all high end gear in my pc yet I have to play the game on low settings just to get a stable framerate at 1440p. My pc is more powerful than the ps5 and the next Xbox yet the game plays better on my xbone. I did play it on PC --> i7 6700K at 4.2, one GTX 1070, can maintain 60FPS at 4K (DSR) on a 1080p display with dips into the upper 40s in the forest area, all settings cranked to max. Parity isn't what's needed. The games should be developed for PC first, then ported to the less powerful consoles. At this point, if doesn't look good at 1440p/120Hz or 4K/60, I'm not paying for it. All I'm playing right now is strategy games like Castle Siege and indie games on Steam, there's nothing out there in the FPS or sim genres that's compelling. you know my 980' in sli are equal to a 1080? sounds like you have the dynamic option selected because there is no way you are playing 4k at 60 max settings on weaker hardware. I will upload a video tomorrow as proof. Edit: OP should be 2K 60. In any event, I'll put both in the video. Had zero performance issues with the game when I played it. Yep sounds like you have the dynamic option selected. I don't and at 2k native low settings I have a stable fps around 77, no drops. They released a major patch for it some months ago that massively helped with its performance and low draw distance. Had a certain tendency to crash too. Before the patch the performance was overall quite bad, very demanding, certain areas would not run smoothly even when setting everything to low. Since the patch released its a very smooth experience and the game runs about 33% better. I am now able to increase the MSAA setting from 2X all the way to 8X and still get a smooth 60 fps in it. Sadly I still had a few crashes (like once every few hours or so at bad times) but its overall stable. Microsoft, making promises it can't keep... yet again. was this the update that made everyone redownload the whole game again, something like 70gb worth? I've tried it again after that and found no change, will try again tonight though. I take it back, it has got better. low I was averaging around 90-95, dropping to low 70's peaking around 110. medium I was averaging around 85 again dropping to low 70's peaking mid 90's. high though, average 42 and unplayable skipping, but that might have something to do with my monitor. think I heard somewhere gsync doesn't work well at low fps. Microsoft: "Consoles aren't able to keep up with PCs therefore to make them equal we integrated 30 FPS cap into Windows itself." Morris Minor, JaredTheDragon and andy06shake like this. Where is it skipping? The game has a design problem with the global light source (don't know if that's the correct term) that makes the game look like it's hanging/skipping in densely forested areas.